Father’s Day is just around the corner and the Charlottesville area is a wonderful place to spend a relaxing, fun, and memorable weekend celebrating Dad! From fascinating historical sites and adventurous outdoor activities, to great food & drink, the Charlottesville area offers something special for every father. But why choose just one of the great options Charlottesville has to offer? Spend the entire weekend exploring and creating what is sure to be an unforgettable Father’s Day with dear ol’ Dad. And no worries, we have the itinerary all planned out for you! Whether Dad is a history buff or not, he will no doubt be enamored with the plethora of presidential history sites in the Charlottesville area! For your first stop on your trip, tour Monticello, a UNESCO World Heritage site and the exquisite home of the third president of the United States, Thomas Jefferson. And you’re in luck, because from April-October, Monticello also offers tours of the plantation and the outdoor gardens with blooming flowers. Bonus! New exhibits are opening at Monticello this Father’s Day weekend, including the South Wing and the Sally Hemings exhibit. Check out information about the special LOOK CLOSER event for details. A short car ride from Monticello will bring you to James Monroe’s Highland, the plantation that was purchased by Monroe in 1793, and was home to the Monroe family for nearly 25 years. Here, you can take a newly revamped guided tour that explores the fascinating life of our fifth president. Highland also offers six brand new hiking trails for a more adventurous way to explore the amazing property. 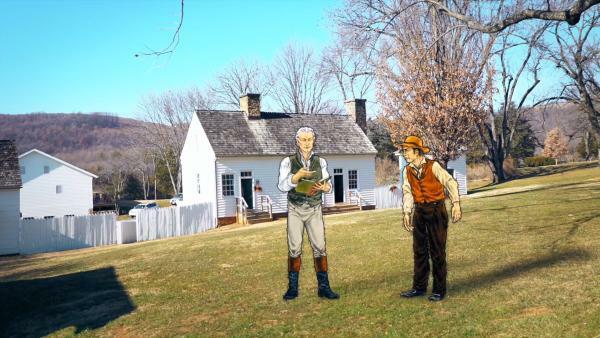 Highland is also currently beta testing a new augmented reality tour, which will be the first of its kind at a historical site in the United States! Guests who participate in beta testing are able to experience the new tour at no additional charge, but will be asked to complete a short survey. More on Highland’s augmented reality experience here. Continue the learning experience with a visit to James Madison’s Montpelier in nearby Orange County, where you can take a multitude of tours to learn about everything from slavery, to James Madison and the Constitution, to the impact of Dolley Madison. You can easily spend several hours at each one of these homes, so be sure to allow plenty of time for your visit in order to take in all the features these magnificent homes have to offer. To top off your day of history exploration, visit another UNESCO World Heritage site, the University of Virginia. June is an ideal time to visit UVa. With classes out for the summer, there are fewer crowds and the gardens are sure to be in full bloom! Founded by Thomas Jefferson, UVa is known not only for its academics, but for its architecture and history. Located at the center of the University is the iconic and recently-renovated Rotunda. Surrounding the Rotunda is The “Academical Village” and The Lawn, a great spot to relax during the warmer months. After an educational day exploring the historical sites, Dad will surely want to get outdoors. 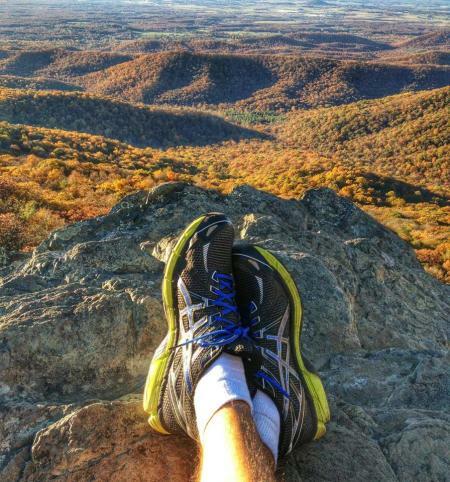 The surrounding countryside of Albemarle County provides the perfect opportunity for all kinds of outdoor activities! With lakes, rivers, and streams galore, you can bond with your Dad while canoeing, kayaking, paddle-boarding, and fly-fishing! Or, spend a relaxing day floating and working on Dad’s farmers tan with the ever-popular 3-mile tubing trip down the James River! The James River in nearby Scottsville offers up all kinds of water adventures, and there are several outfitters located in town that can supply you with everything you could possibly need for your day on the water. Plus, all of these options are quite affordable so you can enjoy a beautiful day on the water without having to dole out too many dollars. If Dad is more of a hiker, take a trip to nearby Shenandoah National Park for some gorgeous views of the rolling Blue Ridge Mountains. The area is home to hundreds of additional miles of trails, which weave and meander throughout the area. With cascading waterfalls, spectacular vistas, and quiet wooded hollows, Shenandoah National Park provides the perfect place to take a hike and picnic with the family! Fore! Another fun outdoor option for Dad would be one of the spectacular golf courses in the Charlottesville/Albemarle area. Golfers of any level can enjoy these courses, where traditional and innovative greens interlace amid natural beauty. The golfing options include championship courses with 4 ½-star rankings from Golf Digest, links designed by Pete Dye and Associates, and an Arnold Palmer Signature Course, as well as the world&apos;s first Green Golf Trail, Monticello Golf Trail. 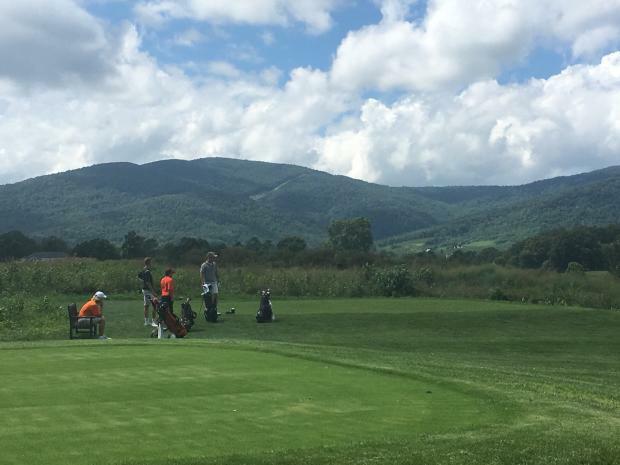 With challenging terrain and awe-inspiring views of the Blue Ridge Mountains, a golf day in Charlottesville is sure to make for a memorable experience with Dad. After two jam-packed days of history and outdoor activities, you’ll likely want to relax and enjoy some food and drinks with Dad. Charlottesville is a foodie paradise! The Charlottesville region has been leading the pack in the farm-to-table movement since its inception and has received the accolade of “locavore capital of the world” by Forbes Magazine. The historic pedestrian Downtown Mall, which is one of the longest walking malls in the country, has dozens of restaurants, most of which contain outdoor patio space for dining al fresco. Plus, you’ll have your choice of dining options from casual, all the way to upscale. Before dinner, be sure to spend some time in the heart of East Coast wine country, located in surrounding Albemarle County! This area has been named one of the top wine destinations in the world by Wine Enthusiast, and Dad can sample award-winning wines from more than 35 wineries. In addition to great wine, the vineyards boast extraordinary views of the rolling Blue Ridge Mountains. If Dad is more of a beer or cider guy, there are plenty of options for him! 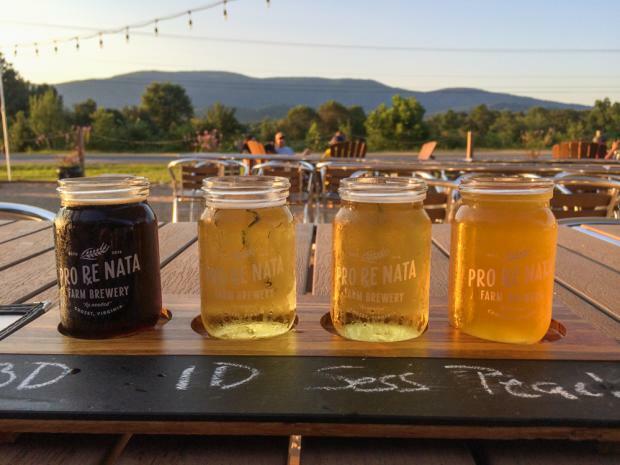 Hop vines thrive in the local climate (in fact, Virginia was once known as the hops capital of the world), and Albemarle County is home to small-batch breweries making handcrafted ales and lagers as well as hard ciders from the region&apos;s orchards. A handful of these award-winning brew houses form a beer-lovers dream tour known as the Brew Ridge Trail (homage to the Blue Ridge Mountains). Often breweries on the trail offer live music to enjoy in the casual and comfortable environment with Dad. Book a tour with one of the local transportation companies for an affordable, fun, and safe way to sample a few different options! Dad will surely appreciate a weekend filled with history, outdoor fun, food and drink, and most importantly, family bonding! With plenty of options to create an adventurous yet relaxing weekend full of memories, Charlottesville is the place to be for Father’s Day. Be sure to browse our website for even more ideas as you plan your upcoming Father’s Day trip to the Charlottesville area and don&apos;t forget to check out our lodging page for more information about all of the region&apos;s hotels, inns, B&Bs, and resorts! Now round up Dad and the family for a celebratory weekend in Charlottesville!